By now you’re probably familiar with Capcom’s ability to produce amazing games. From Mega man to Street Fighter, Capcom is responsible for some of the most iconic franchises in video game history. But what you may not be as familiar with, because they just started doing this recently, is Capcom’s ability to take excellent console games and port them into equally as excellent PC games. In 2017, Capcom pulled off an exceptional port of one of the best Resident Evil titles ever; and if there’s one thing that reviewers in this roundup agree on, it’s that Capcom has created another porting masterpiece in 2018 as they bring Monster Hunter: World to the PC. The quality of the port isn’t the only thing that reviewers across the board seem to agree on. Players at top sites around the web are obsessed with the immersive open-world, the diverse and polished combat mechanics, and of course, the incredible monsters. If you’re totally new to Monster Hunter: World check out our preview of the game here, and get filled in on all the pre-release beta info here. Monster Hunter: World is trending on our webstore for two good reasons: it’s a fantastic game, and it’s on sale. Let’s dig into some specifics about what reviewers are saying about Monster Hunter: World’s arrival on PC. Everyone who has played the game and written something about it can’t stop talking about how amazing Monster Hunter: World looks. The different biomes that make up the living, breathing open world are easy to lose yourself in (literally! ), and the monsters are as fantastically unique as they are deadly. All of this was also true on the console version of the game, but now on PC, you can crank the beauty and the framerate as high as your rig can handle. Monster Hunter: World is indeed a resource-hungry game, however you should keep in mind that those requirements are often a bit overkill, and many reviewers are reporting the game running at Medium/High settings and 60 FPS flawlessly on moderately powerful PCs. Oh, and the crashing problem that we also discussed in the pre-release article — all fixed. 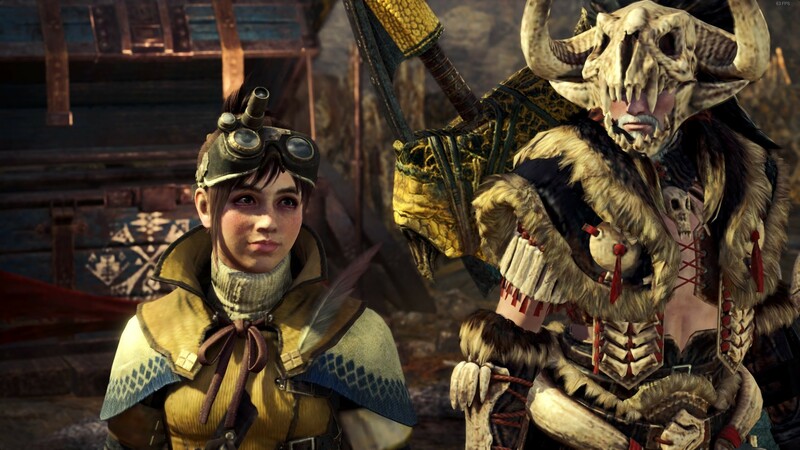 Capcom patched it ahead of the game’s release and it is reportedly perfectly stable now. We’re seeing almost every reviewer out there so far loving every aspect of the gameplay. I know the “gameplay” is a not very specific term, but that’s actually really accurate: people really like all the stuff you can do in Monster Hunter World. The combat, traversing the interconnected biomes, the crafting (most of the time, more on this later), even the eating! The game is just packed with stuff to do and all of it is polished, well thought-out, and confidently presented in a stable PC port. Monster Hunter: World is deep, complex, and full of RPG micro-managing goodness. The monsters and the world they inhabit are intricately detailed, and the way you hunt them can be equally as intricate. In order to prepare yourself for each hunt you’ll return to a single town that serves as your base of operations. This place is full of NPCs and brimming with ways to gather quests, craft armor, buy weapons, cook/eat a meal, or even do some botanical research! You can explore each of these upgrade options to your heart’s content, or.. to your heart’s discontent as some reviewers found this adventure prep time a bit tedious. 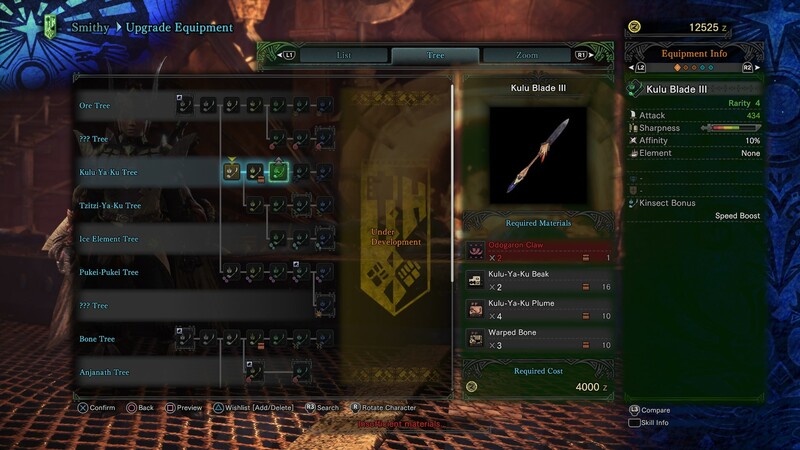 While everything else about Monster Hunter: World on the PC is universally agreed upon to be beautiful to look at, the crafting and the skill/weapon development… not so much. Above is an example of one of the weapon upgrade trees. It’s sprawling, complex, and at first glance it looks like it might be hard to decipher without a magnifying glass and guide. For many players this could be a great thing! Any Dark Souls fan will have no problem with this at all! In fact, a lot of recent games, RPGs especially, have gotten a lot of flack for their lack of depth, and for their habit of spoon-feeding the player. But for some reviewers the crafting/skill building of Monster Hunter: World feels a bit tedious, if only due to the menus. The hunting and combat are just as complex as the prepping you do in between, but that action is displayed as such vivid, seamless eye-candy that it’s easy to just eat it up without thinking. And returning victorious to your homebase to settle down in front of a series of complex menu screens felt a bit gripe-worthy to a few reviewers. Another complaint that went both ways amongst reviewers was the classification of the “grinding” in the game. There is definitely grinding involved (repeated actions done to attain something important), but the question is whether the grinding is boring, or actually really fun– reviewers took both sides. We all know that gameplay loops are typical of video games. You get a quest, you fight a thing, you get a thing, you return the thing, and you get a prize. Then you repeat. 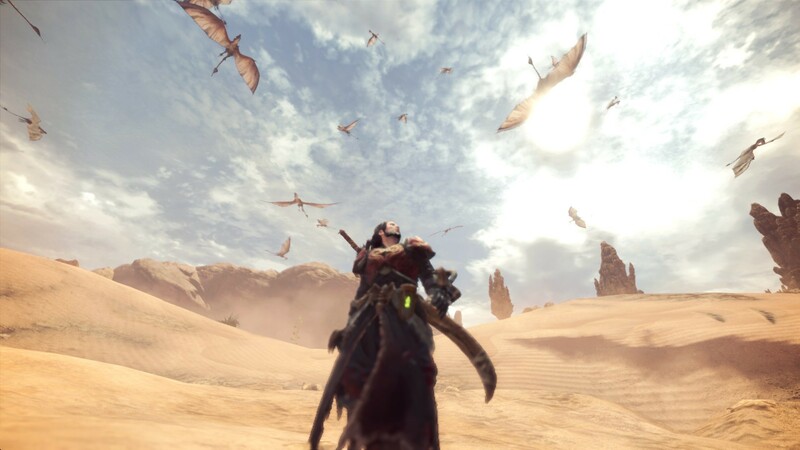 In some games this loop is painful, but in Monster Hunter: World it isn’t. 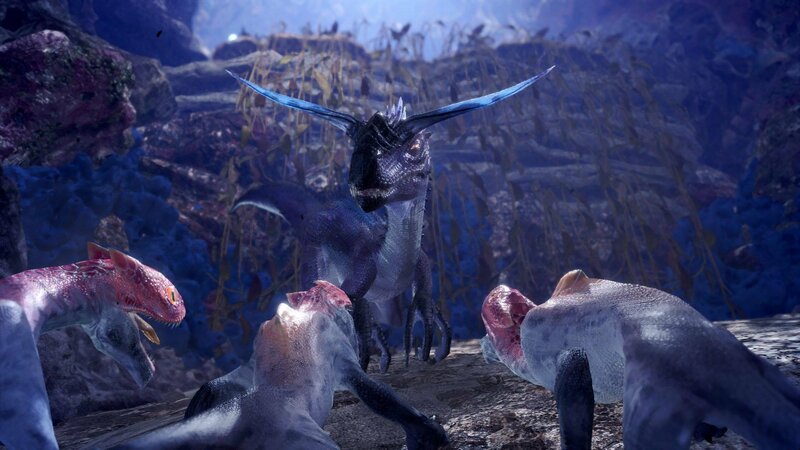 Reviewers across the board noted that you’ll definitely have to do some repetitive tasks in Monster Hunter, but it’s kept fresh, interesting, and rewarding each and every time around the gameplay loop. Although I heard one reviewer on YouTube describe it as such, Monster Hunter: World is definitely not a “Hack-n-Slash” game. You are not going to be able to just rush after monsters swords-a-blazing and mash buttons until you’re victorious. No, its going to take a lot more planning, dodging, and, well, dying before you achieve that sweet, sweet kill. Learning how to do that can take a bit of time, and many reviewers feel the tutorials in Monster Hunter are not the best teachers. One piece of advice I read in one of the reviews is to simply “swing and dodge” your way to learning the game. That should at least be close to everything you need to get through the low rank, introductory level monsters… The ones later in the game might take a bit more… finesse. ● Keyboard and mouse play (at the moment) isn’t quite good enough for a game like this. It’s still best played on a controller because of timing/accuracy/camera angle issues. ● No 21:9 ultra-widescreen support at release. Will possibly be added later. 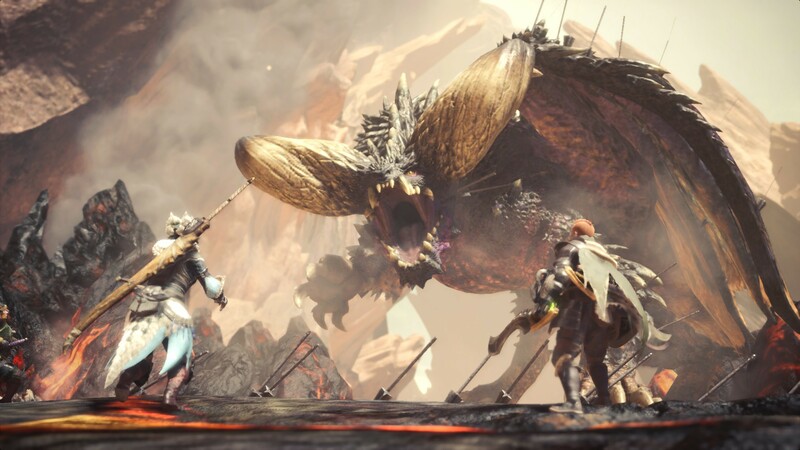 Will Monster Hunter: World end up as Game Of The Year on many people’s lists? Quite possibly. Even more possibly it’ll be RPG of the year. I’m still waiting to see what Shadow of the Tomb Raider, and Fallout 76 have in store for us. Follow us on Facebook, Twitter, and Instagram for more content like this, and, of course, for the latest deals on the hottest games.